As co-founder and CEO of D2DInc, Molly has been working in the field of government contracting and acquisition management since 1991. Before founding D2DInc, she spent eight years working in the government practices of three of the “Big Five” accounting/consulting firms. She is a recognized expert in government contracting and is regularly asked to speak to small business organizations and other groups interested in federal contracting. She was named an Enterprising Woman of the Year in 2014 by Enterprising Women magazine. 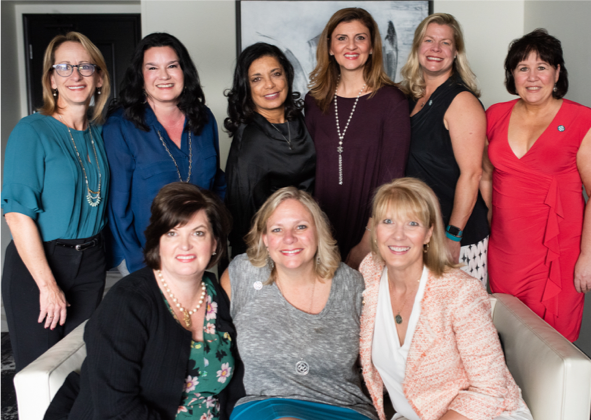 The 2018-2019 NAWBO Board of Directors will be comprised of: Molly Gimmel – Chair; Kathleen Warnick – Past Chair; Jeanette Armbrust - Chair Elect, Cristina Morales Heaney, Tanya R. Allen, Susan Dawson, Lydia Chicles, Karen Bennetts and Lisa Copolla. The new board was installed on June 18 in Washington, DC and will be formally introduced to the business community at the National Women’s Business Conference hosted by NAWBO, September 23-25 in Spokane, Washington.